Iran will send into the orbit a new home-made satellite named Dousti (Friendship) in the next few weeks, an academic official said on Thursday. Dousti (Friendship) Satellite, the fully domestically-made satellite, will be launched in the coming few weeks, Hossein Mokhtari, an official of Sharif University of Technology of Tehran, said. "More than fifty patented technologies have been used in the satellite," he added. His remarks came after the successful launch of the rocket to place the country’s Payam satellite into the orbit ended with failure at the final stage. 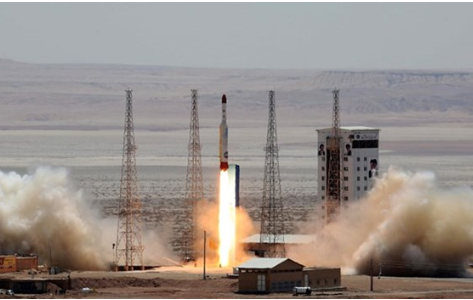 Iran's Communication and Information Technology Minister Mohammad Javad Azari Jahromi said on January 15 that a ceremony to launch the satellite was held in Imam Khomeini Spaceport, but Payam did not reach enough speed in the third stage and was not put into orbit.